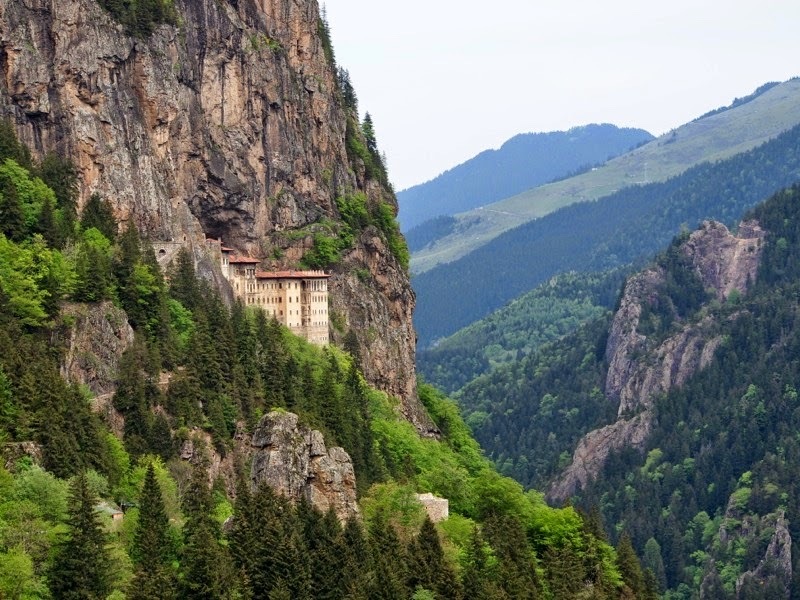 An isolated Orthodox Christian monastery that provides a glimpse of the spiritual solitude sought by Byzantine monks. The setting alone is like something out of a James Bond movie- hanging on the face of a sheer cliff is a hidden lair, hard to reach and impossible to penetrate. 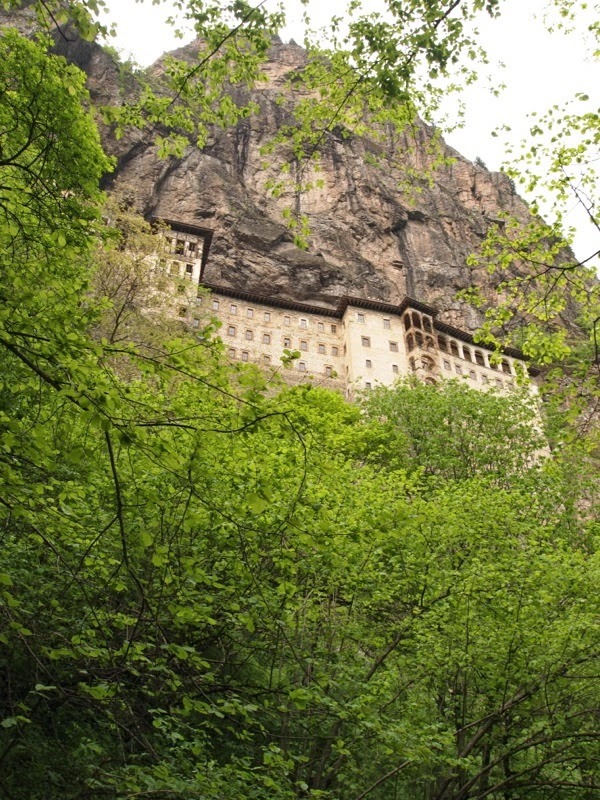 Bizarrely, it looks a little like God's majestic hand dropped a Tibetan monastery in a green Turkish forest. 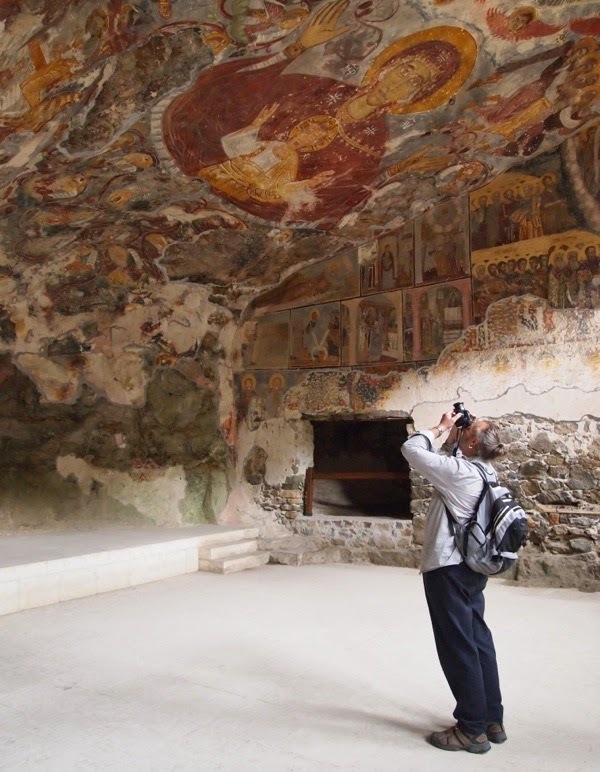 Inside, you’ll find a wonderful collection of Byzantine art, and a pleasant walk through the quiet woods makes this a relaxing outing that combines culture with nature. About an hour south of Trabzon, the Turkish gateway to the Black Sea coast. Map. BEYOND THE OBVIOUS attractions of Istanbul, Cappadocia and Antalya are large parts of Turkey that are virtually undiscovered by the foreign package tour hordes. The city of Trabzon is the principal city of Turkey's other coast, and receives far fewer visitors than its counterparts on the Med. 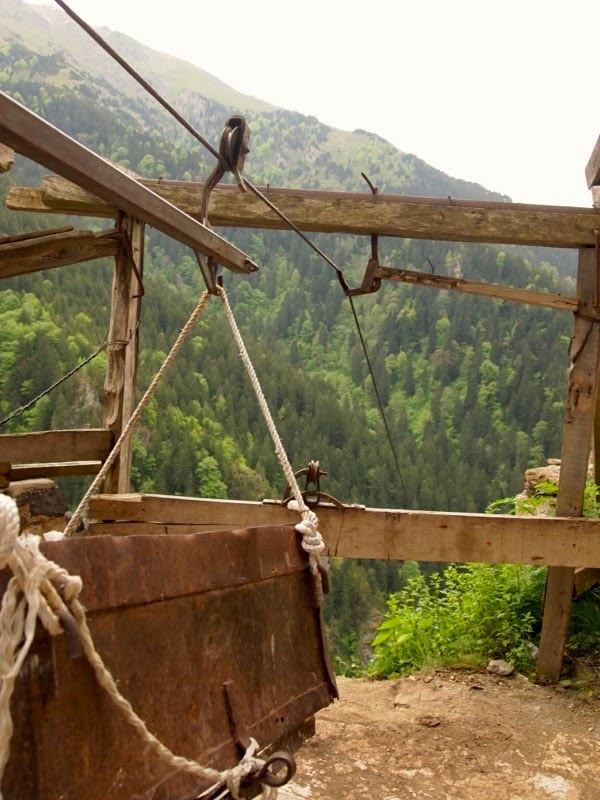 Trabzon has an illustrious history. 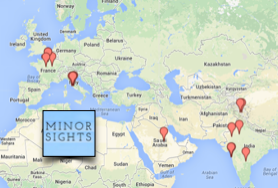 It was one of the principal cities of the Byzantine empire, bustling with traders, sailors and churches. As a matter of fact it was bustling too much for some of its monks, who decided to seek a quiet spot, away from the spiritual pollution and temptations offered by the metropolis. They settled about 50km south of Trabzon proper, on what was then (and still is) an isolated side of a mountain, 1200m high. Founded in the 4th century, Sumela reached its present form in the 13th century, when it received an annual stipend from the imperial Byzantine family. Imperial grants were a handy source of income as mischievous royals tried to buy themselves some good karma by giving away part of the wealth they had obtained elsewhere to charity, as if they were medieval versions of Bill Gates. After the Ottoman conquest Sumela received the protection of the Sultan and his successors, a classic example of Islam’s religious tolerance, which compared favourably to Christian practice in those days. Hidden behind the high walls is a maze of chapels and monks' cells. These days the monastery is no longer in use, but visitors are welcome to admire its stunning setting and dazzling frescos. Inside the monastery a number of churches, chapels and chambers have been carved out of the rock. The most stunning of these is the Rock Church, the oldest chapel, dedicated to the Virgin Mary, who floats in all her majestic glory in front and above you, a veritable apparition that welcomes and delights. Face to face with Mother Mary. 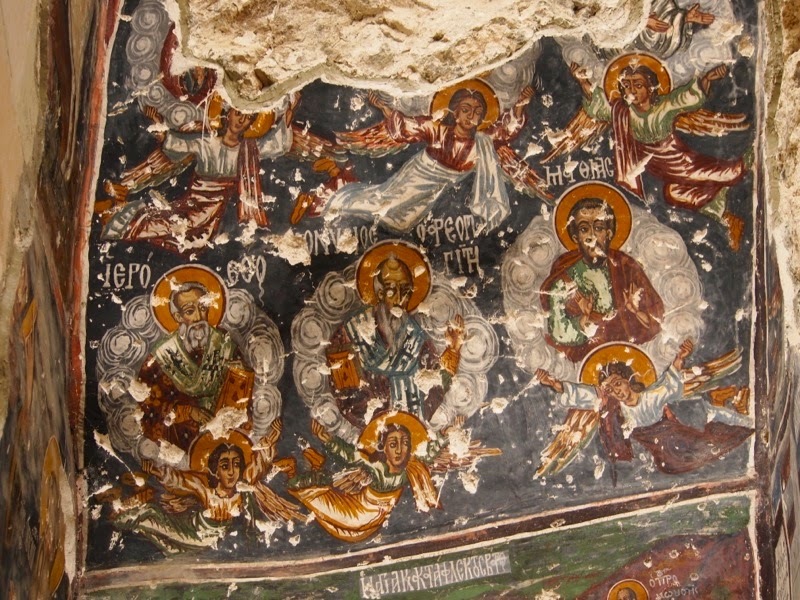 Unfortunately not all frescoes are in the same condition- over the years a lot of damage has been done and many easily-reached frescos are in bad condition. Back in the days before the Internet, the monk’s contact with the outside world was limited, as they enjoyed their self-imposed isolation. To avoid having to walk down (and back up!) the steep hill, a clever system of baskets on zip-lines allowed groceries and messages to be carried up the hill without much effort. 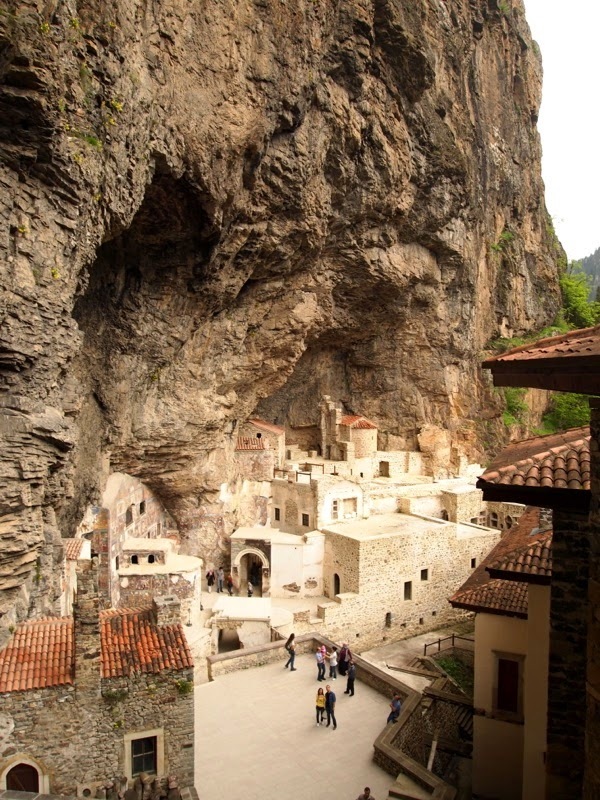 Although the monastery can be reached by road these days (and this is what the touring cars of Turkish tourists and Russian pilgrims do), the best way to reach the monastery is to take the winding path up the hill. 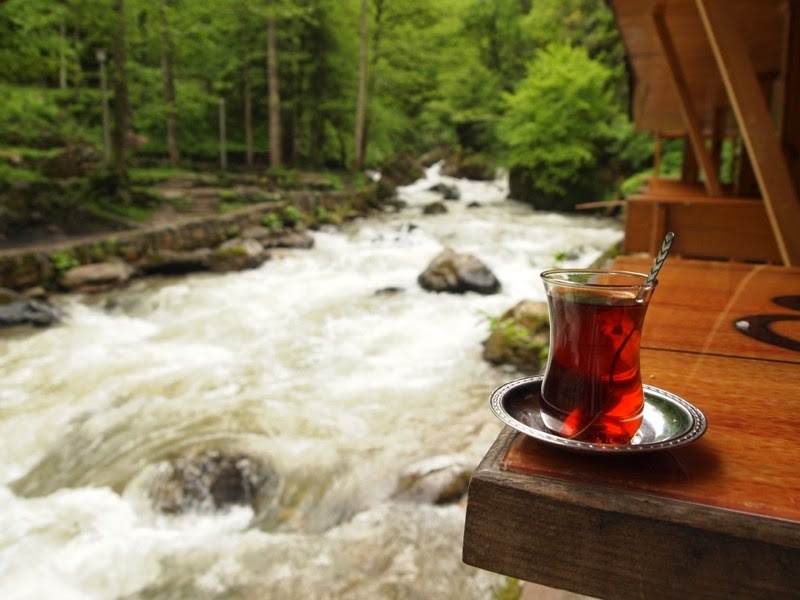 Coming down, be sure to stop at one of the stream-side cafes for a refreshing cup of Turkish tea. From Trabzon you can take a regular bus or one of the minibuses that depart from the local tourist office. the journey takes about an hour. It’s notably cooler at the monastery than down town but as you walk up the hill, you’ll quickly work up a sweat!